You’ve heard others say, “Go with the flow!” But what flow? And where is that “flow” going? 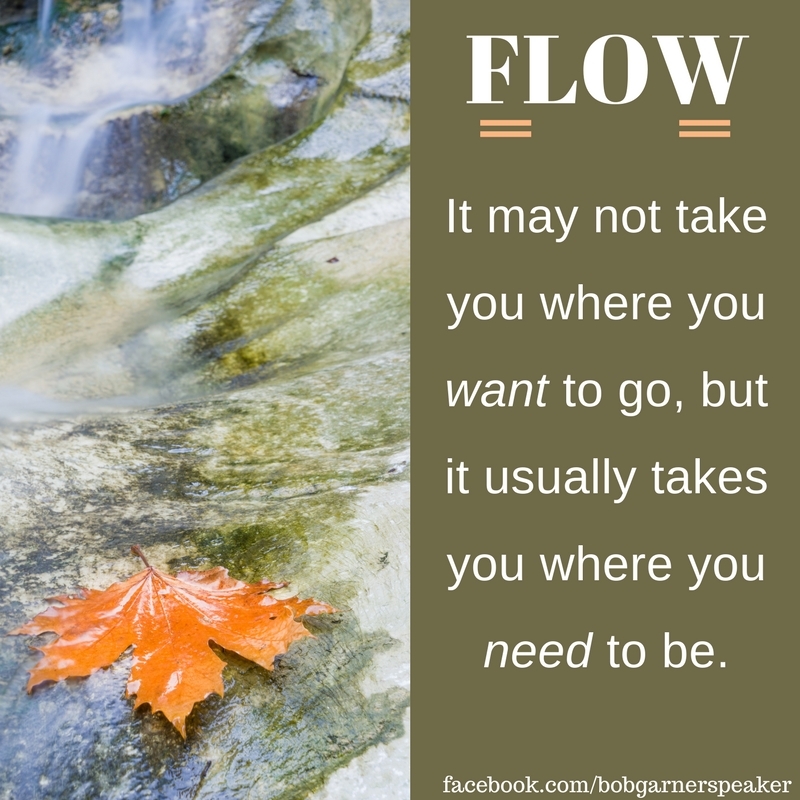 The flow is the movement of energy that can take you to a place on your journey that can allow you to learn or experience something in order to better understand your self, others or a situation. It can, also, take you to a place where you are better able to use the skill set you currently possess and see if there are new skills needed to complete a specific purpose at this time of your life. While we set goals and feel that we are going in the right direction, sometimes the Universe takes us in an entirely different direction or creates what we believe – at first – are obstacles. When we feel we are going in a different direction than we originally desired or come up against a challenge, it’s easy to become angry, resentful and bitter. Oftentimes, we feel so much anger that we want to quit and damn the whole goal, the problem, the Universe, and the horse it rode in on! The other way is about becoming aware or mindful of what is going on RIGHT NOW. Not what you WANT or DESIRE, but what actually IS happening right now. And that happens when we relax and choose to step back and breathe, as well as look… feel… sense. In the end, whether you are open and choose to go with the flow or prefer to muscle your way to your goal, the lesson that you need to learn will eventually be learned, and the experience will eventually be experienced. The only difference is whether you choose to learn the lesson the hard way or more softly – like a leaf flowing in a stream – with awareness, wisdom and peace. Remember: The flow may not always take you where you want to go, but it usually takes you where you need to be.